Katie from the Bryant Park Blog stops by to cover the latest apparel available at the Bryant Park Shop. Click here and here for a refresher on the link between the Bryant Park Corporation and 34th Street Partnership business improvement districts. Since stores are filling up with what I believe the fashion professionals refer to as 'resort wear', I thought it would be apropos to do a fashion-themed crossover between 34th Street and Bryant Park. Especially since we have our own line of resort wear available over at the Bryant Park Shop...well, sort of. Created by Bryant Park Corporation's Graphic Designer, Jamie Song, our first-edition Bryant Park t-shirts are made of super soft jersey cotton from American Apparel, come in men's and women's sizes small to extra large, and are perfect for throwing over a bathing suit on your exotic spring beach vacation. Conveniently, the tees do double duty as lounge wear for those of us who aren't jetting off to Acapulco any time soon. Click on the photos to see more images of each shirt and details of the front and back designs. 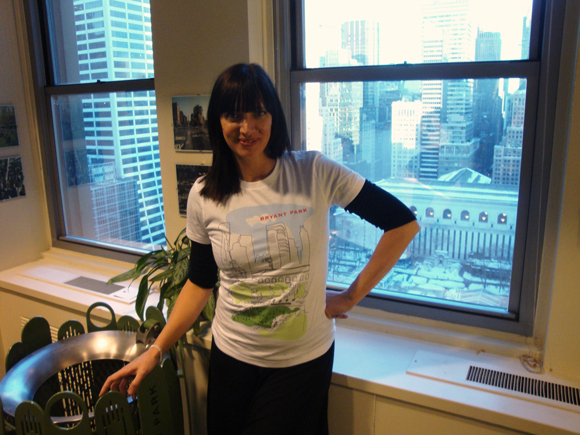 The t-shirts are $19.99 each and on sale exclusively at the Bryant Park Shop. 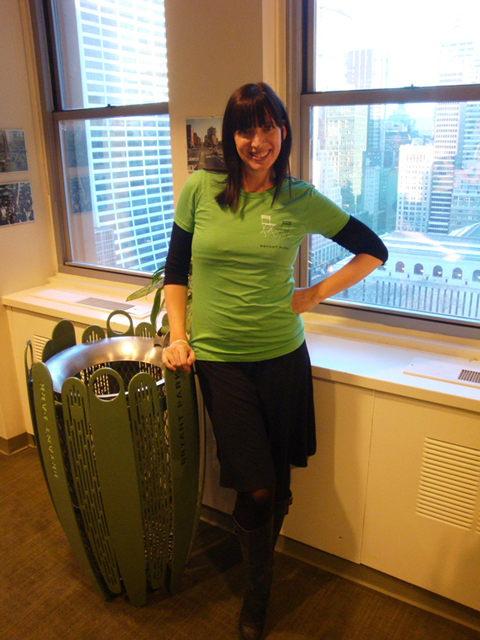 And here's a fact that may make your t-shirt shopping easier: The Bryant Park Corporation is a not-for-profit organization, so all income from the shop goes right back into the maintenance of everyone's favorite midtown park. Isn't that a great deal?